This ice sculpture was left behind by the front of a jeep in the parking lot at Vidant Medical Center near Greenville, North Carolina. How did this happen? The prevailing theory is that the Jeep owner left their vehicle running, warming up the engine before pulling away. 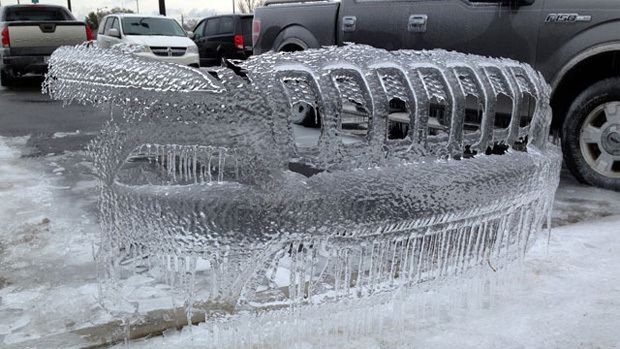 You might say the jeep left a real impression on the parking lot.